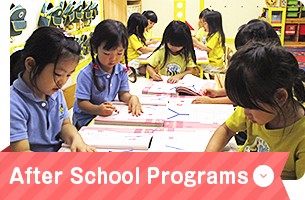 Pure English Kindergarten students enjoy using a variety of materials, have plenty of space to roam, are taught by quality teachers and are given enough time to explore their wonderful world of imagination. We provide a warm, secure and caring environment that aims to meet the individual needs of each child. Our low student/teacher ratio enables us to provide the highest level of individualized care for each child. We offer engaging English courses weekday afternoons and 3-hour fully-intensive courses on Saturdays. Pure English English lessons are taught by experienced native speakers according to our “Real Life Method”. 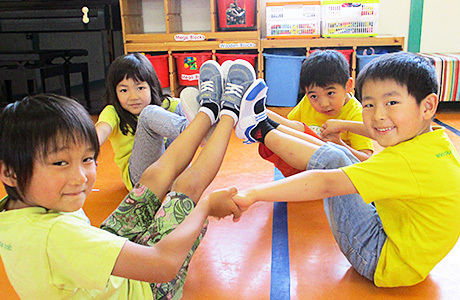 We do not use Japanese in class, instead students learn English in a fun and natural way in an immersive environment. We also make time for grammar and phonics points using a textbook to facilitate a balanced English education. the base price is for 9:00~12:00, but 9:00~14:15 is also possible. 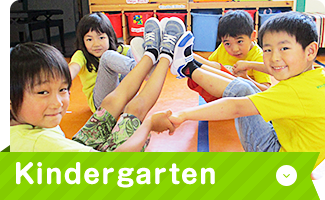 After school day care is available until 18:00.